180 Medical Blog / 180 Culture / Happy Valentine’s Day! This Valentine’s Day, all of us here at 180 Medical want to say how important you are to us. Thank you for allowing us to provide your much-needed medical supplies to you! 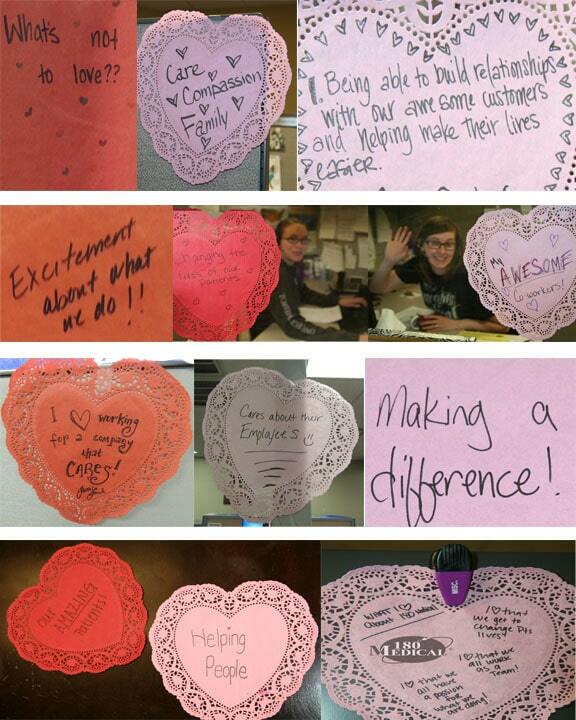 Today, 180 Medical employees got a chance to say what we love most about 180 Medical on paper hearts, which were posted around our work areas, break rooms, and hallways. Here are just a few we wanted to share with you! As always, if you ever have a question or a concern, give one of our smiling specialists a call! We’ll be glad to hear from you! At 180 Medical, we love to celebrate holidays, and that definitely includes Halloween. Find out more about some of the fun we’ve been having!